6 Glass Pitcher Caddy - Cal-Mil Plastic Products Inc. 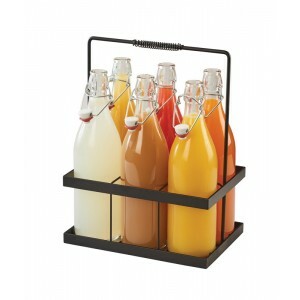 The 6 Glass Pitcher Caddy is the perfect way to showcase a variety of beverages, without the hassle of individual bottles. The caddy features 6 separate compartments and a ergonomic carrying handle for ease of use. 6-32 ounce glass pitchers come included!